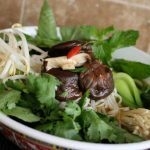 Learn how to make Vietnamese Beef Pho Noodle Soup on the stovetop or pressure cooker, and what to serve this traditional noodle soup with. 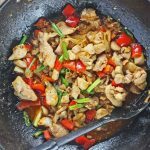 I love shopping at ethnic markets, and although there aren’t a lot near where I live, I’ve managed to find markets of all kinds within a 45 minute radius, including a small Vietnamese market in Danbury, Connecticut. 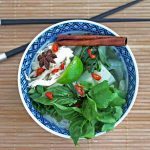 When I first started my blog, I made Vietnamese Vegetarian Pho in memory of a Vietnamese friend who died from stomach cancer. 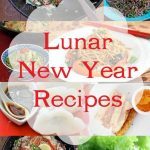 She introduced me to the Vietnamese market in Danbury nine years ago, and shared some of her favorite Vietnamese foods with me. The last time I visited this Vietnamese market, the owner, a petite woman named Dung, pointed to all the different ingredients I needed to make Vietnamese Beef Pho Noodle Soup – a bag of beef bones (a mix of marrow bones and knuckle bones), a bag of beef tendon, a bag of outside flank steak, and a bag of tripe. She also showed me what to serve with beef pho – fresh cilantro, basil, sorrel, and Vietnamese meatballs. Outside flank is different from American flank steak – it’s sometimes called short plate cut, plate cut, or drop flank and has a layer of silver skin that becomes tender when cooked for a long time. You can substitute beef brisket for outside flank steak. I passed on the tripe, but bought half a piece of outside flank steak, a bag of bones and tendon and some Vietnamese meatballs. If you’ve never had beef tendon, it becomes soft and gelatinous when cooked for a long time. It’s an unusual texture, kind of sticky and rich in mouthfeel. 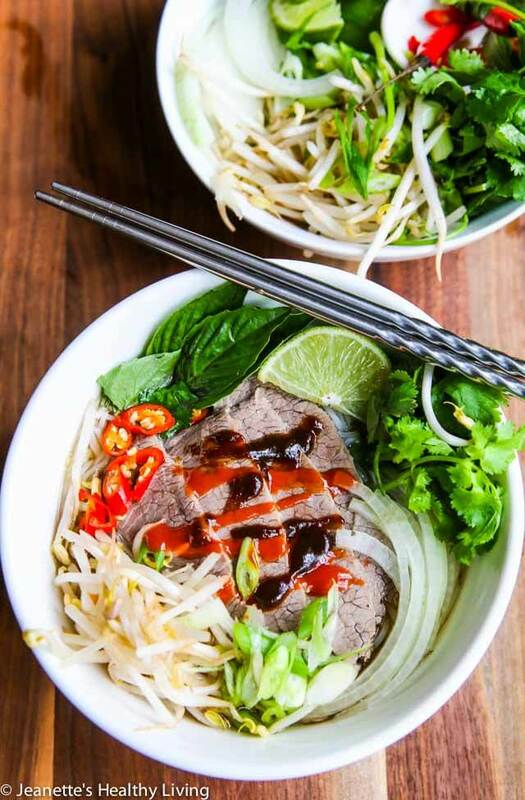 The key to Vietnamese beef pho is the broth, which is really not that complicated to make. It just requires a few extra steps and patience as it takes a bit of time for the broth to develop its aromatic flavor. Use a mix of bones. The woman at the Vietnamese market suggested a mix of marrow bones and knuckle bones. Include a piece of meat such as outside flank steak or brisket. Directly on a gas stovetop. I trimmed a piece of chicken wire and simply placed it on top of my gas stovetop. 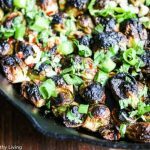 Just peel off the onion skin – I left some on and the charred pieces started floating around in the air. Broil in the oven for about 15 minutes. Char in a cast iron pan, cut side down. Toast the aromatics. 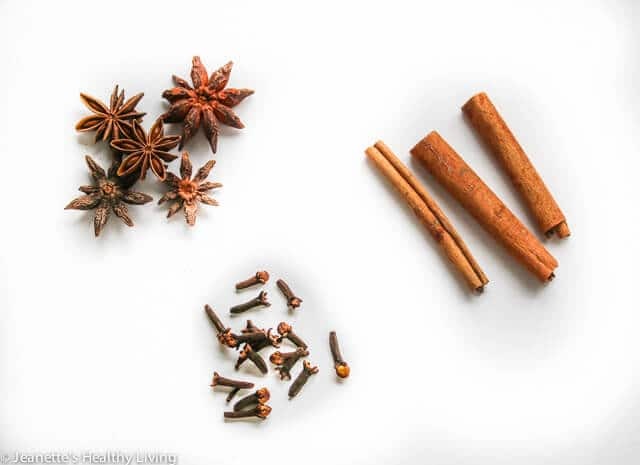 Star anise, cloves and cinnamon are the key aromatic spices in pho. I toasted the star anise and cloves for more flavor. Some people include cardamon, fennel and coriander seeds, but I left these out. Traditionally, pho broth is made on the stovetop and takes about 3 hours. Alternatively, you can make the broth in a pressure cooker. Whichever method you choose, you need to pre-boil the bones first. One important step to take at the beginning of making the broth is to pre-boil the bones for a few minutes.This helps get rid of a lot of the scum before the broth cooks. To do this, simply bring the bones and enough water to cover to a boil in a large pot. Let the bones boil for about 5 minutes, then pour everything into a colander and rinse/rub the bones to get rid of any loose bits and scum. Once the bones are clean, dump them in a big pot (8 quart) along with the outside flank, tendon, charred onion and ginger, toasted star anise, cloves, cinnamon stick, fish sauce, sugar and salt. Add water to within 2″ of the top of the pot, bring to a boil, then simmer on medium-low for 3 hours, removing the outside flank and tendon when done (~ 1 1/2 – 2 hours). Pre-boil the bones the same way as if you were to cook the pho broth on the stove (see above). Cooking pho broth in a pressure cooker takes about 1/3 the amount of time as cooking on the stove top. The only limiting factor is the size of the pressure cooker. I have a smaller pressure cooker (5 quarts), so I had to cook the beef pho broth in two stages. First, I fit all the bones, tendon, and only half the outside flank into the pot, and cooked that for 40 minutes at high pressure; after 40 minutes, I removed the cooked tendon and outside flank from the pot (leaving the bones in the pot). Then, I added the remaining half uncooked outside flank, and cooked it with the bones and spices for another 40 minutes. So, altogether, pressure cooking beef pho broth took about 1 hour 10 minutes cooking time. 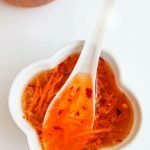 Since I used a smaller pot, my broth was quite concentrated, probably about twice as concentrated as it would have been had I used a big pot as I normally would have, which was fine because when I served it, I simply added water to dilute it. 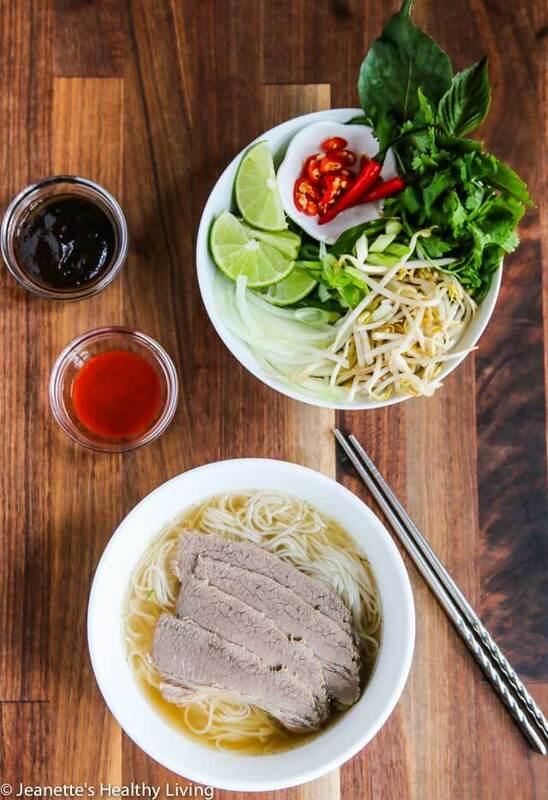 Thin dried rice noodles are traditionally served with pho. Look for packages that indicate “S” for small size noodles. To prepare the noodles, pre-soak them in a bowl of cool water for thirty minutes. Then drop into a pot of boiling water and cook for about 30 seconds, until just tender. Do not overcook the noodles as they will continue to cook in the pho broth that you serve them with. 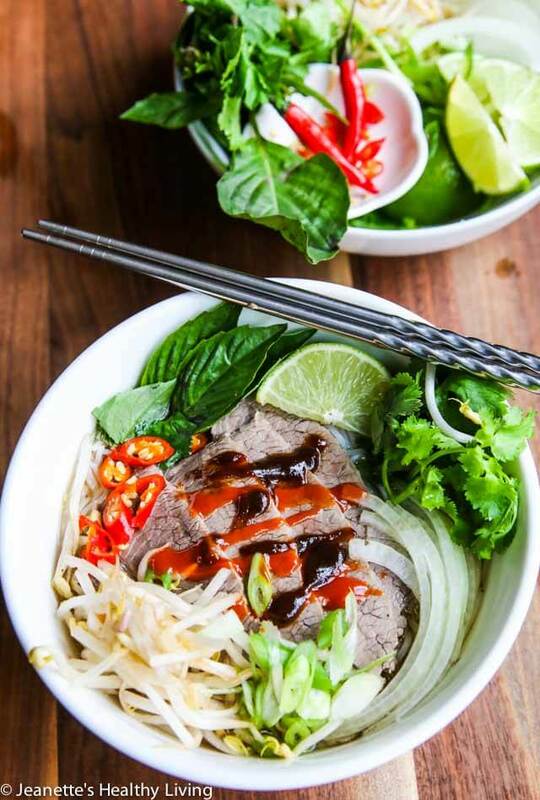 Traditional garnishes for Vietnamese beef pho include fresh herbs such as cilantro, Thai basil and sorrel, as well as scallions, thinly sliced yellow onion, fresh bean sprouts, lime wedges and fresh chopped Thai chilies. 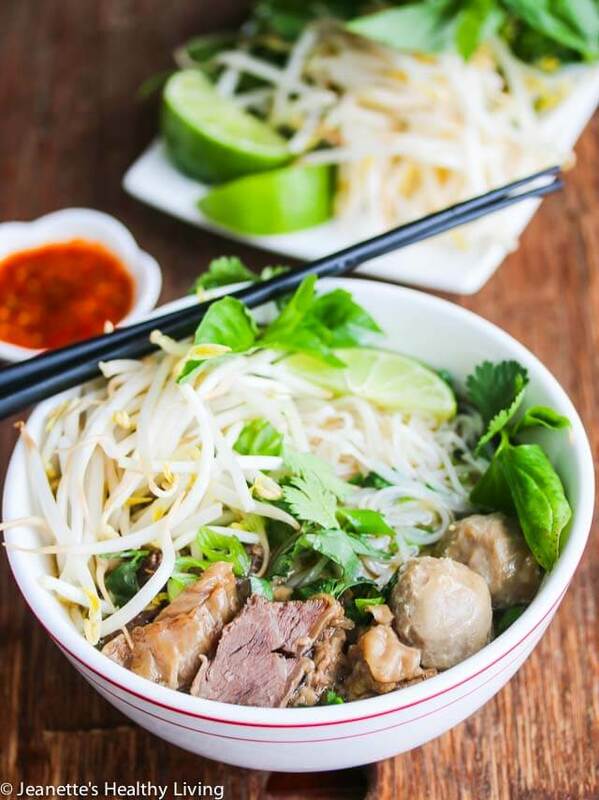 To serve Vietnamese beef pho noodle Soup, place a portion of cooked rice noodles in a large deep bowl. Then top with sliced outside flank, tendon and Vietnamese meatballs (if using). Pour hot pho broth on top. 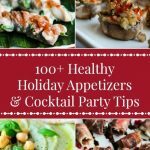 Serve with a plate of pho garnishes Guests can add whatever they like, or if you want, pre-garnish your guest’s bowls with a variety of toppings. 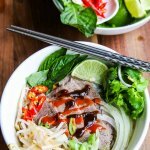 In the restaurant, you might find little bottles of sriracha sauce and hoisin sauce to drizzle on top of Vietnamese beef pho noodle soup. Char onion and ginger on top of stove, placing them on a piece of wired mesh or a wire rack. 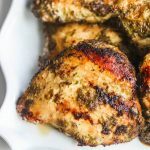 You can also char it in a hot cast iron skillet or broil it in the oven for about 15 minutes. Peel off any charred ginger skin or onion skin. Toast cloves and star anise in a small skillet for a few minutes until fragrant. Place beef bones in a big pot covered with water; bring to a boil, then reduce heat to medium and let cook for 5 minutes; Pour everything into a colander and rinse well with cold water, rubbing off any bits and scum. Place pre-boiled bones in pressure cooker, along with tendon, outside flank, toasted star anise and cloves, cinnamon, salt, fish sauce and sugar. Cover with water. Secure pressure cooker cover and cook for 40 minutes at high pressure; quick release pressure, remove cooked tendon and outside flank. Leave bones in the pot. If there is any extra uncooked outside flank, add it to the pot and bring the pressure cooker back up to high pressure and cook 40 more minutes. Quick release pan, remove cooked outside flank and place in of cool water. Place pre-boiled bones in pot, along with tendon, outside flank, toasted star anise and cloves, cinnamon, salt, fish sauce and sugar. Cover with water to within two inches of top of pot. Bring to a simmer and cook for 1 1/2 - 2 hours until outside flank and tendon are firm but tender; remove outside flank and tendon and place in a bowl of cool water. Continue to cook pho broth for another hour. Strain broth. 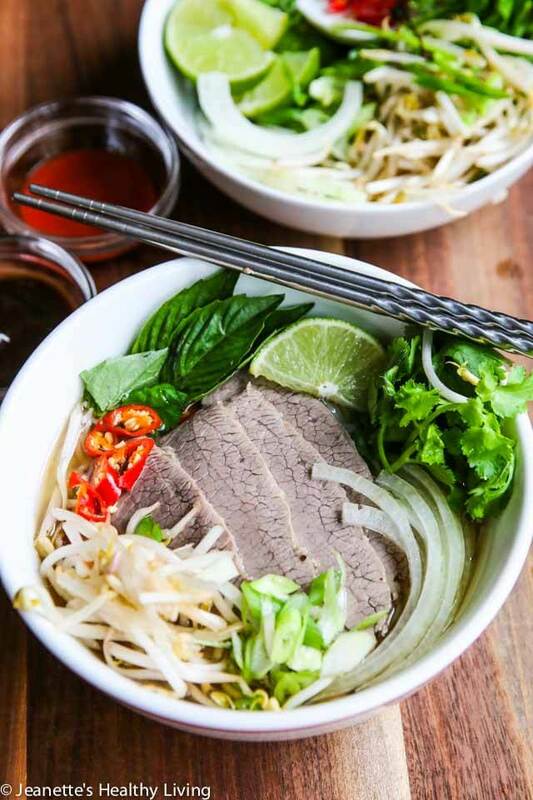 Refrigerate pho broth overnight; use a spoon to remove the fat layer. Remove outside flank and tendon from bowl of water, and refrigerate. 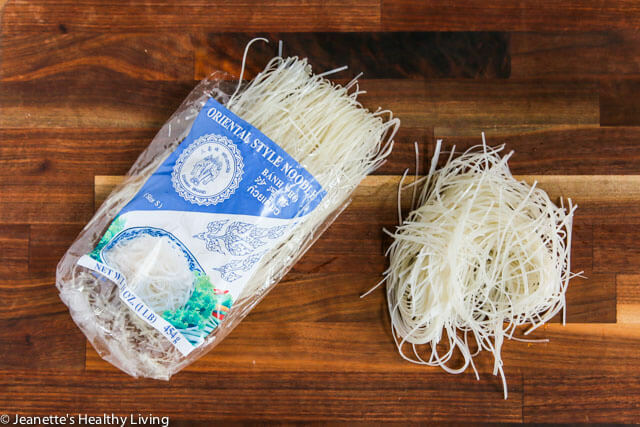 Soak rice noodles in cool water for 30 minutes. Bring a pot of water to boil. Drop in pre-soaked noodle and cook about 30 seconds until just tender (do not overcook - the hot pho broth will continue to cook the noodles in the bowl). Drain and divide among bowls. Place pho broth (dilute with water to taste if your pho broth is concentrated) in a saucepan and heat. Thinly slice outside flank and tendon. Heat meatballs in broth, if using. 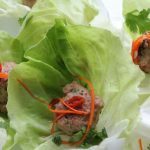 Place sliced meat on top of noodles in bowls, along with meatballs, if using. Top with sliced onions. Pour hot pho broth on top. Serve with garnishes as desired. If you don't use tendon, double the amount of outside flank. 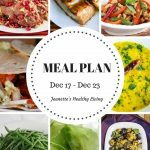 This makes a lot so just freeze the extra soup and meat in portions that suit your needs. Adapted from Pleasures of the VIetnamese Table by Mai Pham. 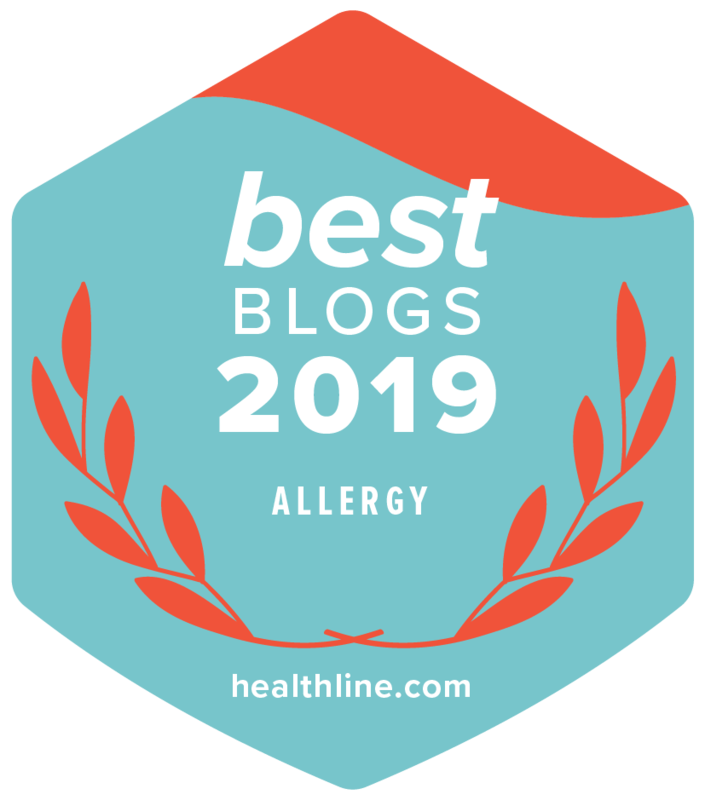 Thank you Angie – I love pho – it’s such comfort food!